No.00002 /AR/CCAA/DG Yaoundde 24 JAN 2019. 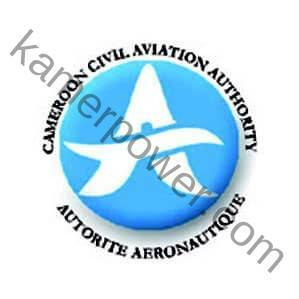 The Director General of the Cameroon Civil Aviation Authority (CCAA), a public administrative entity in charge of Administering civil aviation in Cameroon, created by law n°98/023 of 24th December 1998, repealed by law n°2013/010 Of 24 / July 2013, with its headquarters at the Military Air Base 101, informs the general public that a recruitment test will be organized in Yaounde and Douala following the calendar beneath for the selection of one hundred and seventy-three (173) airport security agents who will work in the country’s international airports. Bilingual: have a mastery of spoken and written English and French languages. Good morning Sir, I am interested and wish to know how I can be part of the team? Can someone with a dental problem be selected for this job? bonsoir monsieur je m’appelle belias godfroid titulaire d’un brevet de technicien en mecanique automobile interessé par vos offres.j’ai travaillé autrefois à TOTAL CAMEROUN S.A comme pompiste et mécanicien dans l’entreprise EKAFOP & PARTERS . This is very nice. I thank the director general of CCAA for bringing up this important concour. I am taking part in the concour and my best wish is to make it. Greeting sir,Am interested in the job advertised at your institute. How can I found myself there?